Julian Joseph presents the programme from the 2008 London Jazz Festival. With his own trio, singer Cleveland Watkiss and the Guildhall Big Band he explores jazz improvisation. 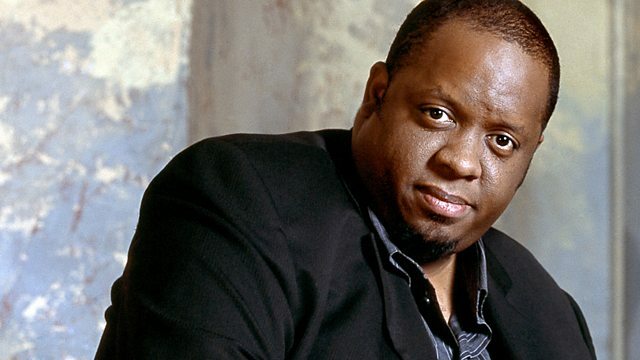 Pianist and broadcaster Julian Joseph presents the programme from the Guildhall School of Music and Drama as part of the 2008 London Jazz Festival. Performing alongside his own Trio, singer Cleveland Watkiss and the Guildhall Big Band, Julian provides a unique insight into the art of improvisation, using excerpts from jazz standards as well as form his own music, including performances of The Reverend and Mountain of Hope.